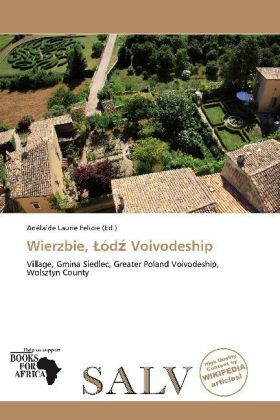 Wierzbie is a village in the administrative district of Gmina Kutno, within Kutno County, ód Voivodeship, in central Poland. It lies approximately 4 kilometres (2 mi) north-east of Kutno and 53 km (33 mi) north of the regional capital ód . A village is a clustered human settlement or community, larger than a hamlet with the population ranging from a few hundred to a few thousand (sometimes tens of thousands).